In 2003, Swiss photographic artist Jules Spinatsch launched his Surveillance Panorama Projects. Shot with network cameras—surveillance cameras that take still photos—these works examine human behavior and reveal the sometimes striking discrepancy between social pretence and social reality. 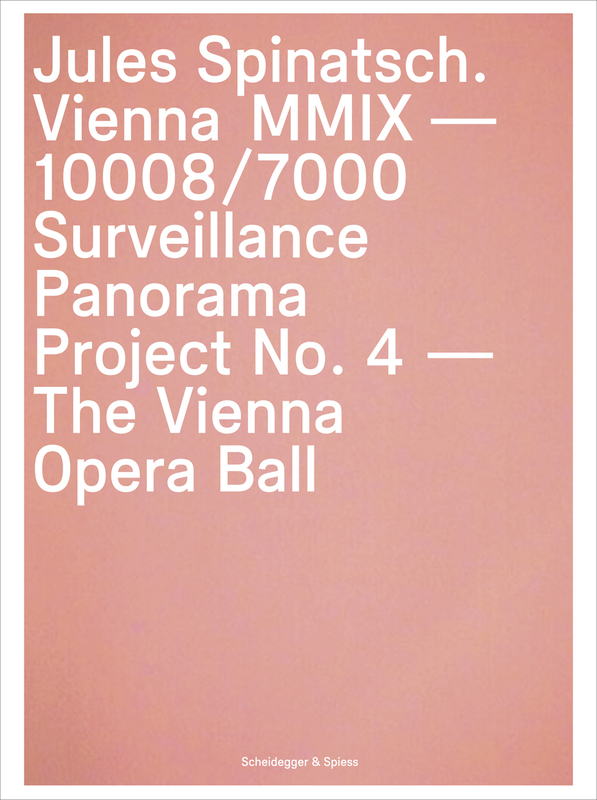 This book documents Vienna MMIX—the fourth installment in Spinatsch’s series—in which the artist trained his lens on the Vienna Opera Ball. At the ball, two cameras moved continuously in a grid pattern, taking photographs every three to four seconds. Arranged in a single sequence, more than ten thousand of these photos form a panorama that recreates the entire space while capturing only fragments of events. Volume 1 shows the images in chronological order as a continuous strip, each page representing one specific minute. Volume 2 presents a selection of seventy images, each documenting a moment of great intensity, intimacy, or fascination. The two essays that accompany these photographs explore Spinatsch’s project, the roles of planning and coincidence in art, and the nature of documentary and surveillance photography. The resulting book is both a beautifully produced collection of images and a piercing study of human behavior.